This special Quail Run Plaza end-unit is one of few that offers easy access throughout the community without steps. 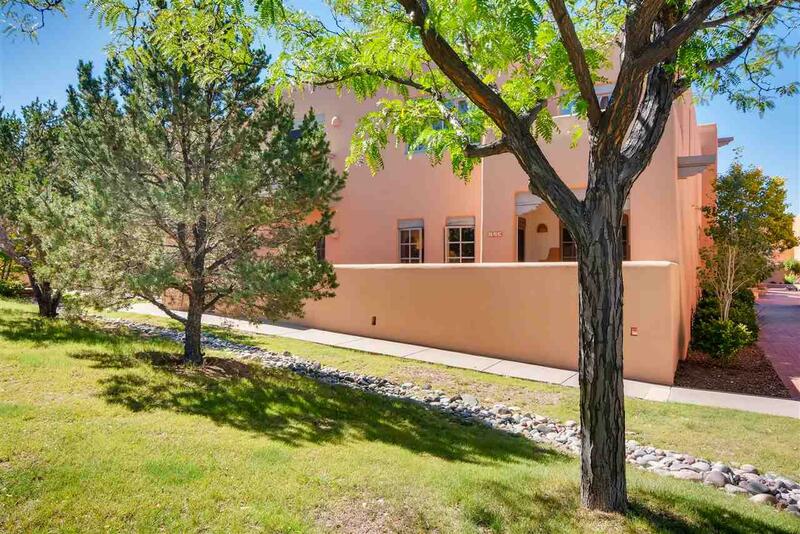 On the quiet side of Quail Run, this lovely ground level condo has a large bricked private patio surrounded by trees where its new owner will enjoy outdoor dining and relaxation with views of Sun Mountain. 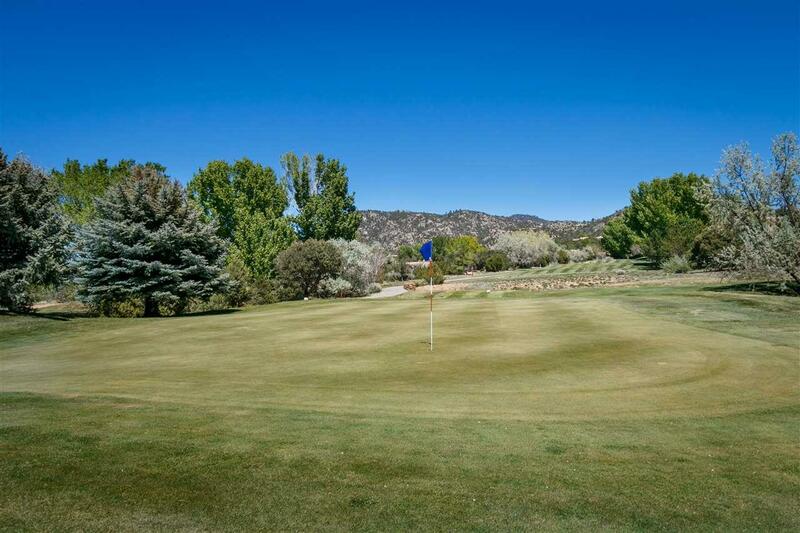 The home has wood and tile floors, vigas, a gas fireplace and soaking tub. The second bedroom has a stylish built-in Tech Line maple desk, with two file cabinets and a book shelf. Recent upgrades include a complete 2018 A/C overhaul with a new furnace with a 10-year warranty, along with a new hot water heater (2017). 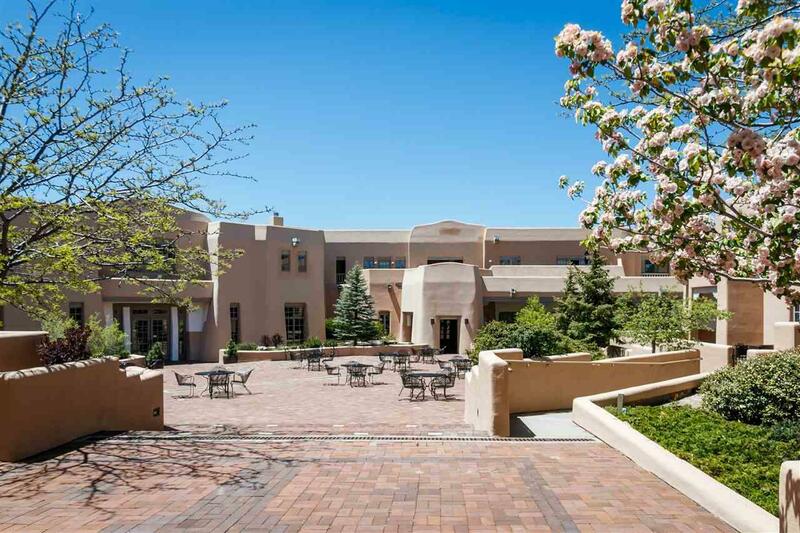 Amenities of this upscale gated community include 24-hour security, full-service gym, pools and spa, daily exercise classes, golf course and on-site restaurant. 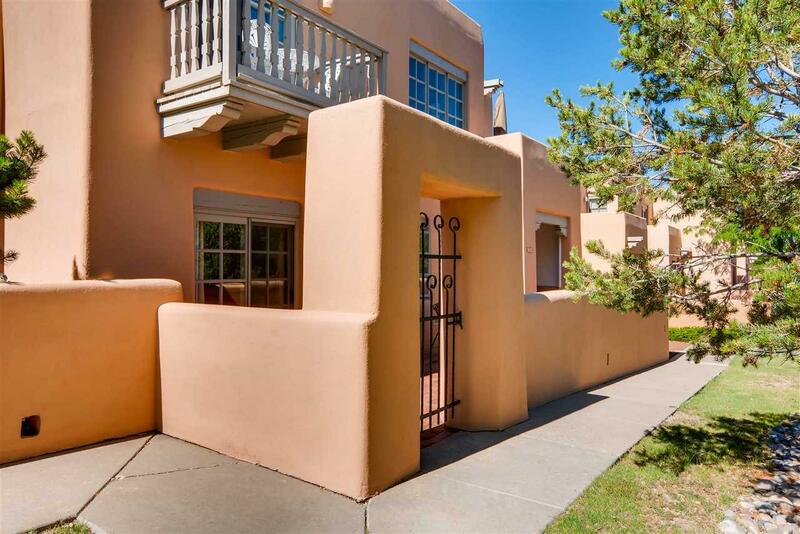 Listing provided courtesy of Jan Hamilton of Santa Fe Properties. © 2019 Santa Fe Association of REALTORS®, Inc. MLS. All Rights Reserved.